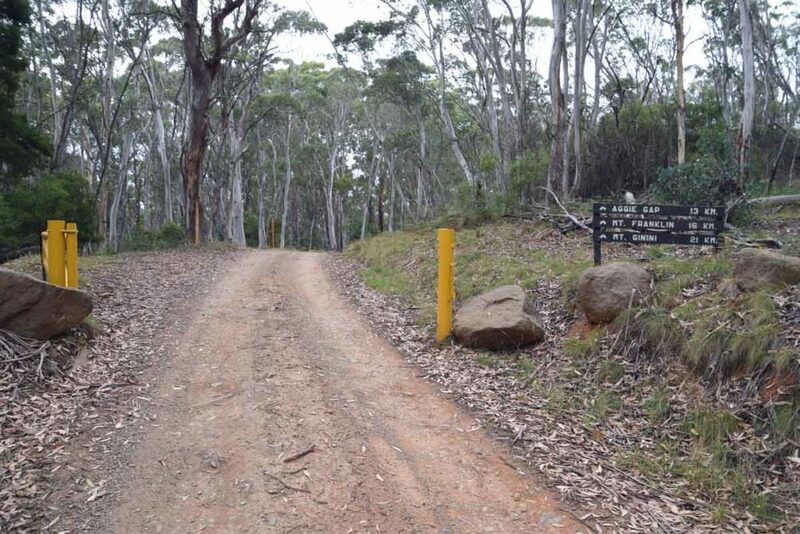 The Mount Gingera trail head is on the left side of Mt Franklin Road and is immediately adjacent to a locked gate. 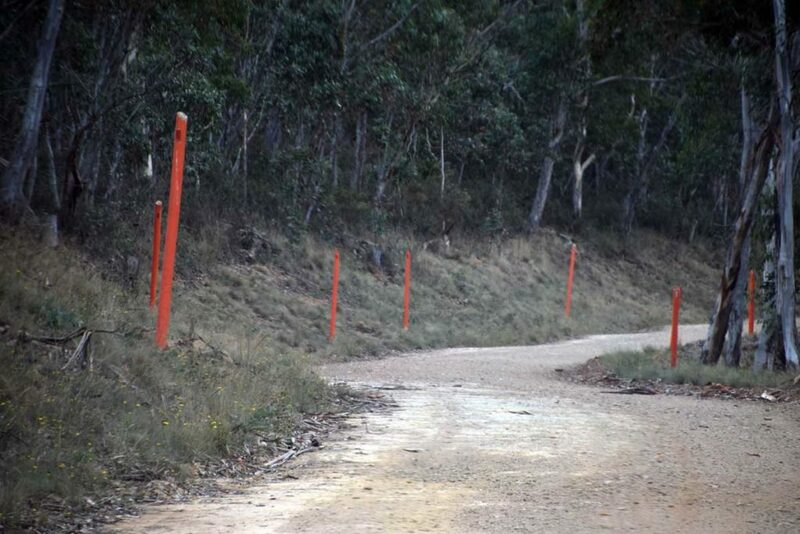 The trail head signage is just through the gate. 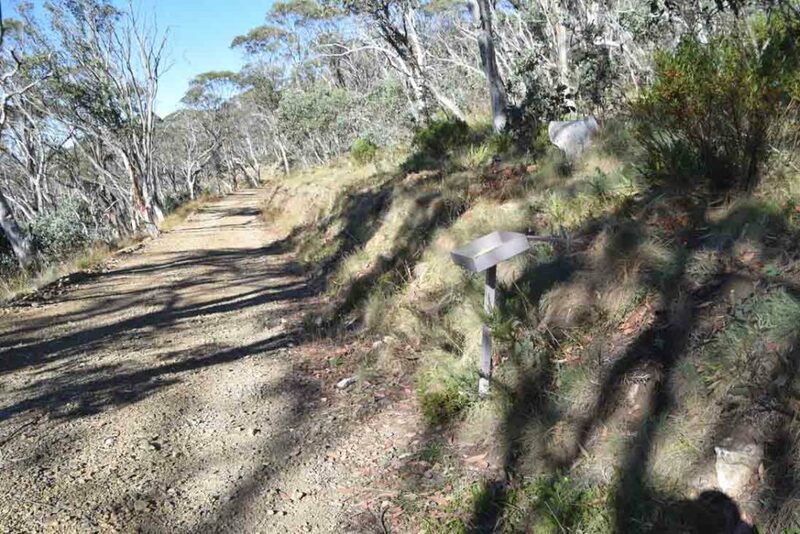 The distance from the Mt Franklin trail head is just over 5km. 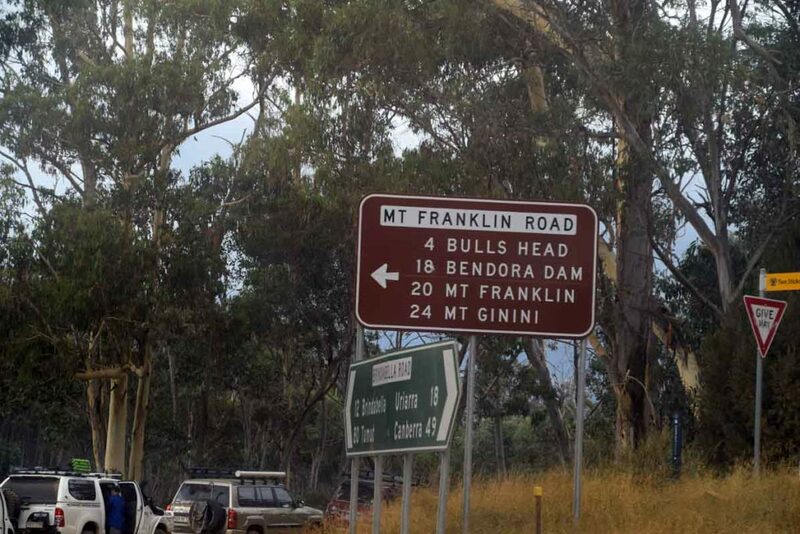 You will also pass a road on the right to the summit of Mount Ginini. At this point you have about 300 metres to travel. 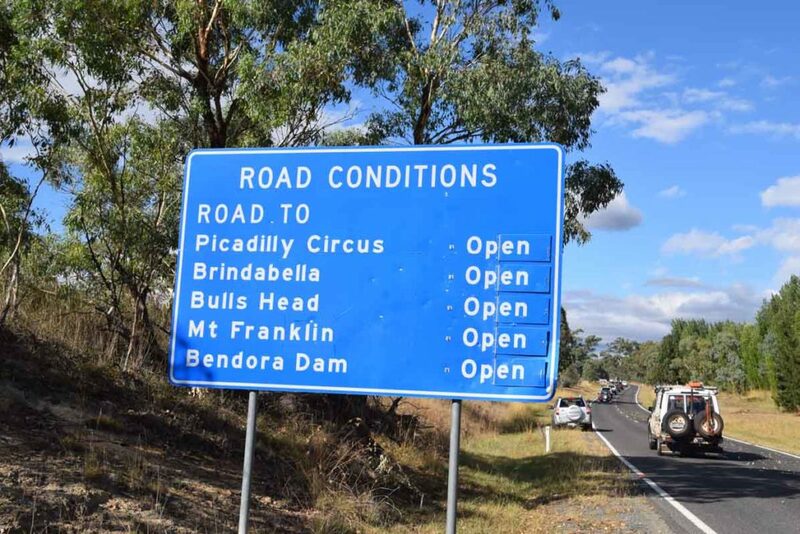 Pay close attention as you pass the road condition signs to ensure the road is open as it can be closed in periods of extreme fire danger as well as heavy snow. The signage on this road is good so you will have no problem getting to the Mount Gingera trail head provided you pay attention. 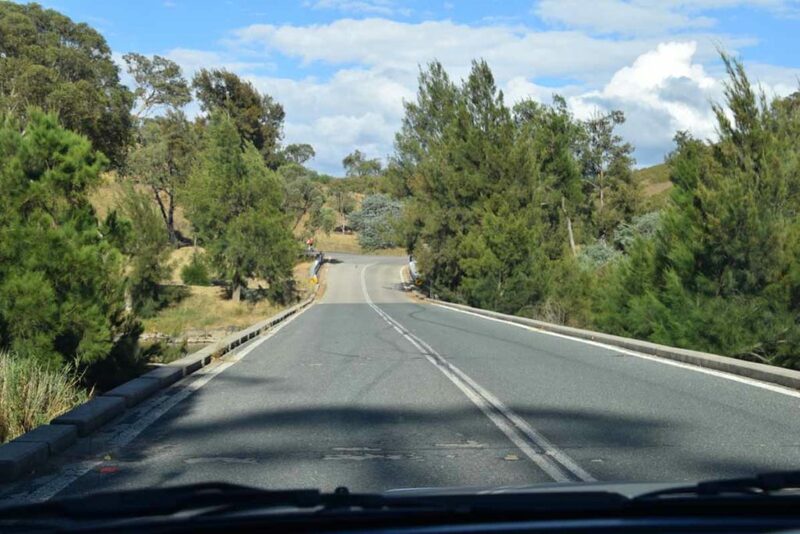 Once you turn off onto the Mount Franklin Road you very quickly enter the Bimberi Wilderness and as you travel along the road there are a number of heavy gates that may be locked in bad conditions (fire danger/heavy snow). 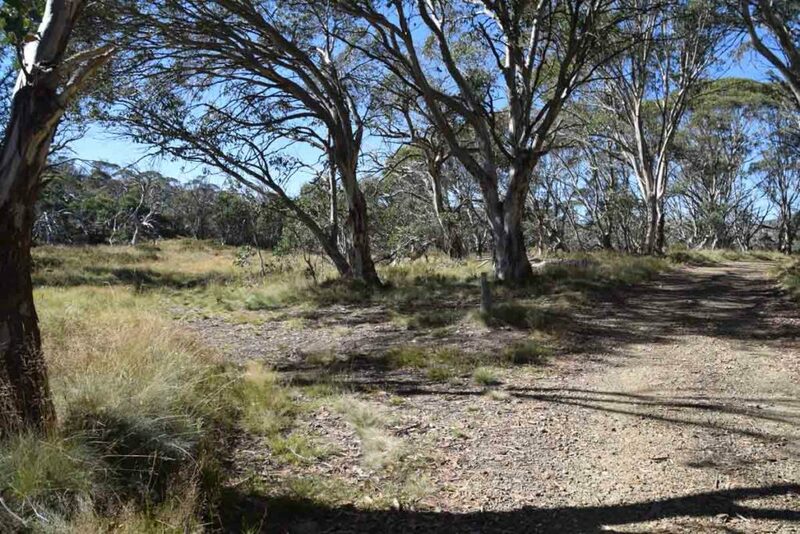 The Mount Franklin Road crosses the ACT/NSW border on a number of occasions but this walk is in the ACT. 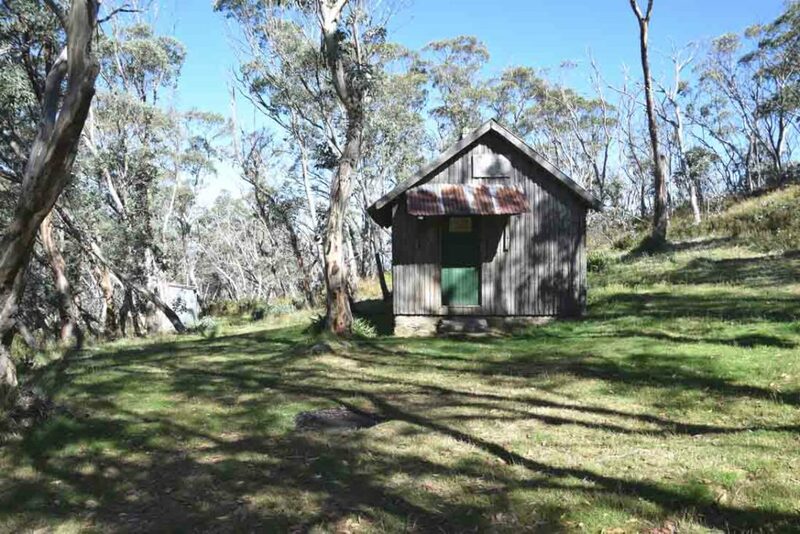 Each of the walks in this area has something unique and the Mount Gingera summit walk is no different. 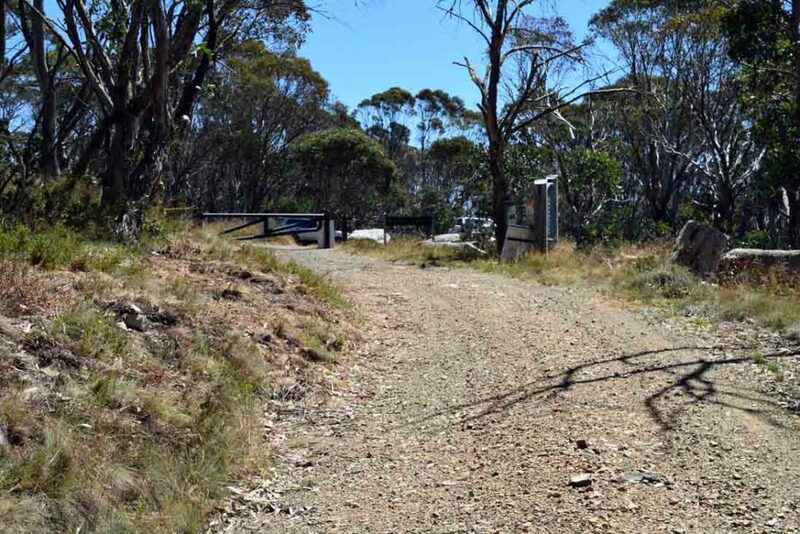 In fact having having worked my way through most of the formed trails in the ACT, the Mount Gingera summit walk now has pride of place as my favourite walk and I’ll explain why. 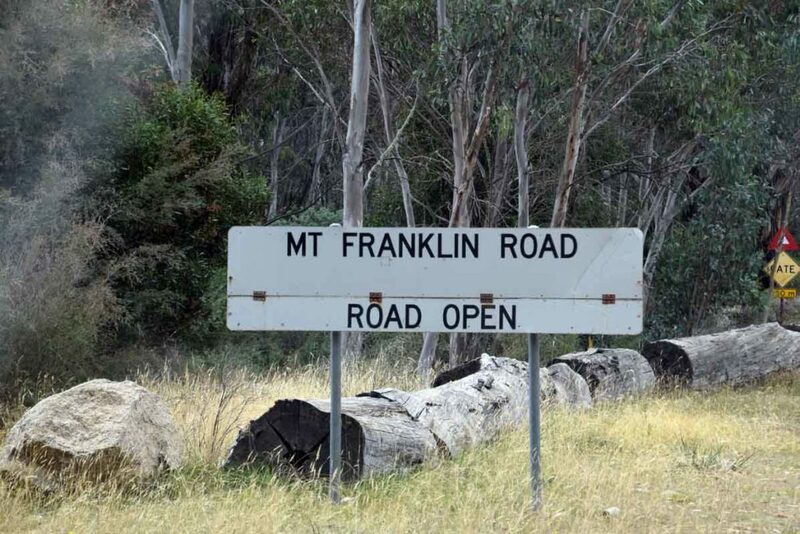 The Mount Franklin Road is shut to private vehicles at the trail head car park so you know you’ve reached your destination point for the start of the walk. 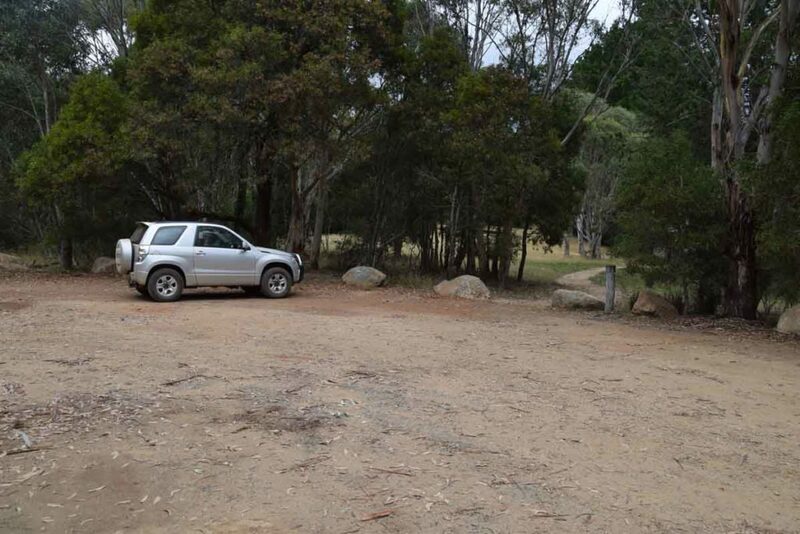 The car park is on the left of the locked gate and will accomodate about ten cars. 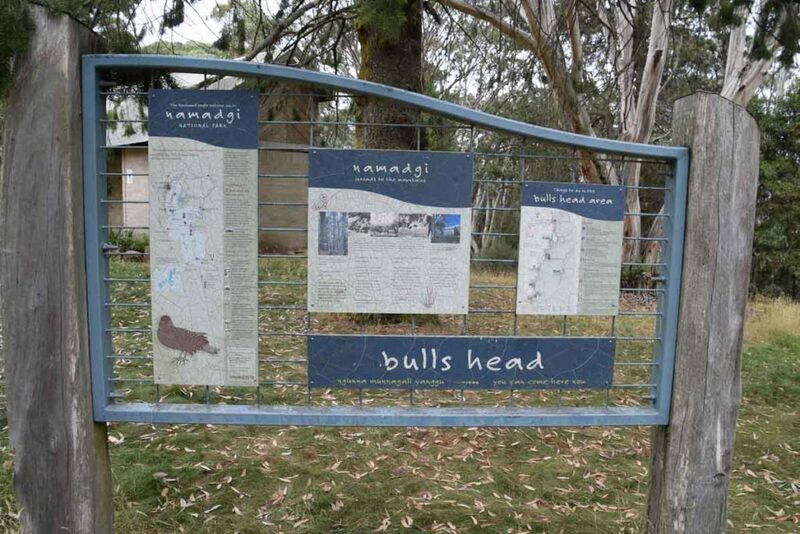 Walk around the locked gate and there is some interpretive signage just as you start the walk. 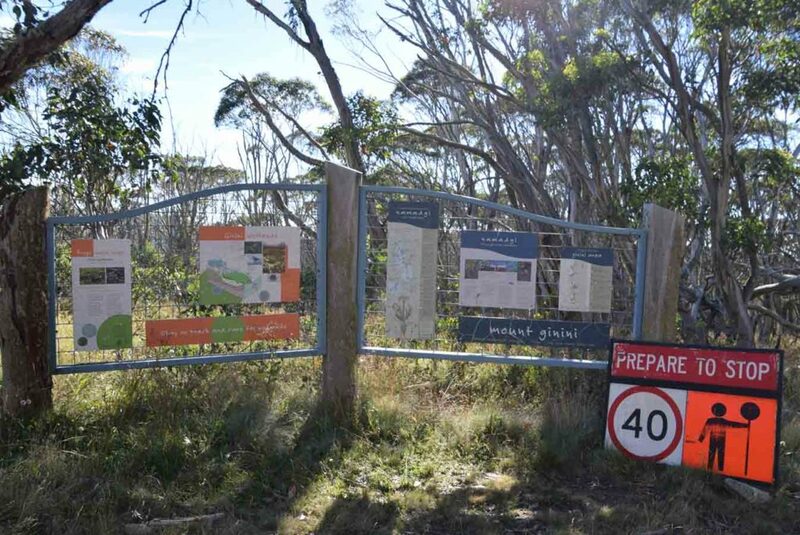 The majority of this walk is along management trail and the trail register is about 100 metres down the road on the right hand side so don’t forget to sign in/out as you pass. 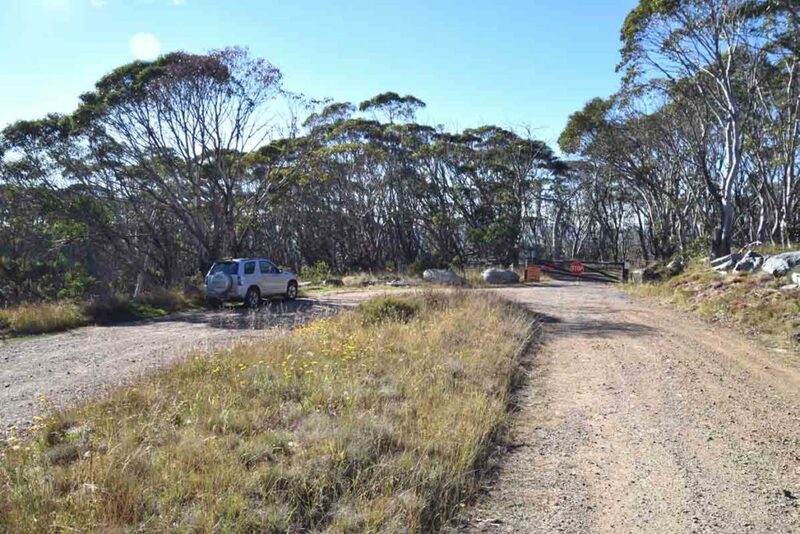 This walk is really only guaranteed to be accessible during the warmer months of the year and while people do walk it in winter time, you have to pick the weather to ensure the road isn’t closed due to heavy snow. 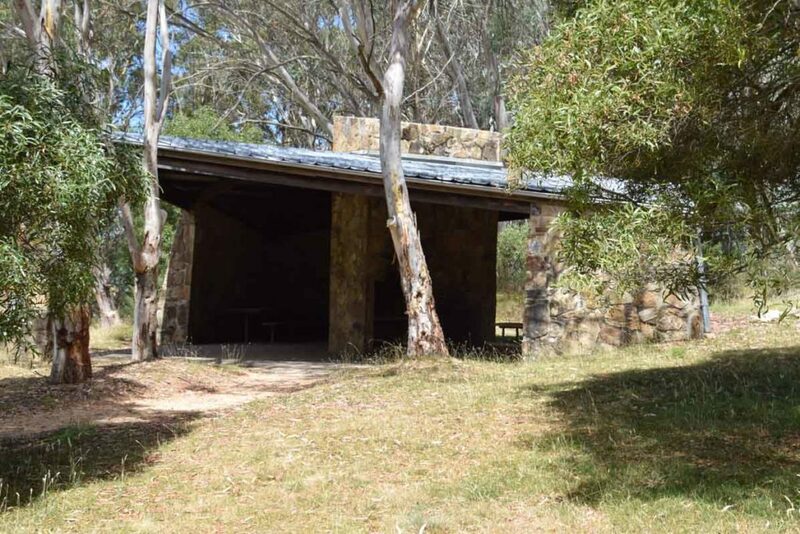 A better option in winter is to do the the Mount Gingera walk via Corin Dam. 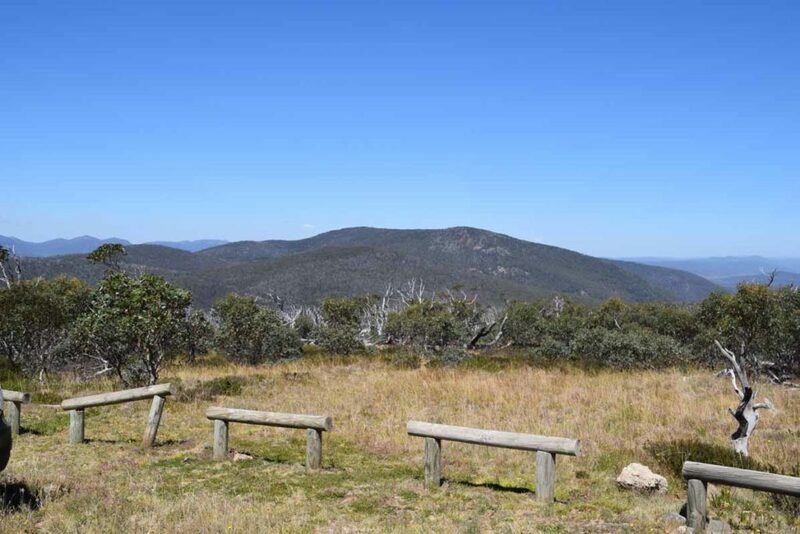 Having lived most of my life in Canberra I tend not to think about snow too much but the entirety of this walk is over 1500 metres in altitude and the summit of Mount Gingera itself is almost 1900 metres so decent snow on the ground is to be expected in mid winter. If you are trying to walk this trail in winter and the road isn’t closed due to heavy snow, please ensure your vehicle and your driving skills are up to scratch. I would also suggest considering snow shoes if doing this walk in mid winter. 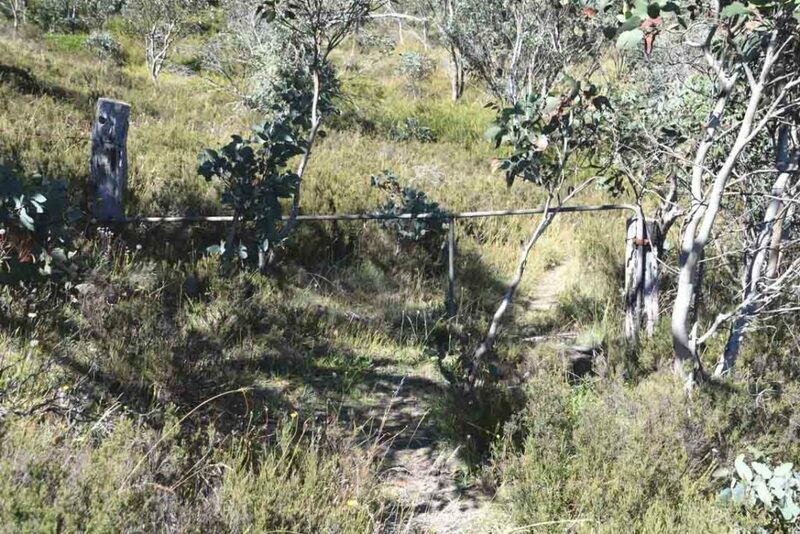 PLEASE NOTE: One other warning I would give here is that out of any walks in the ACT this is the one you can be pretty well be guaranteed to see snakes if travelling during the hotter months. 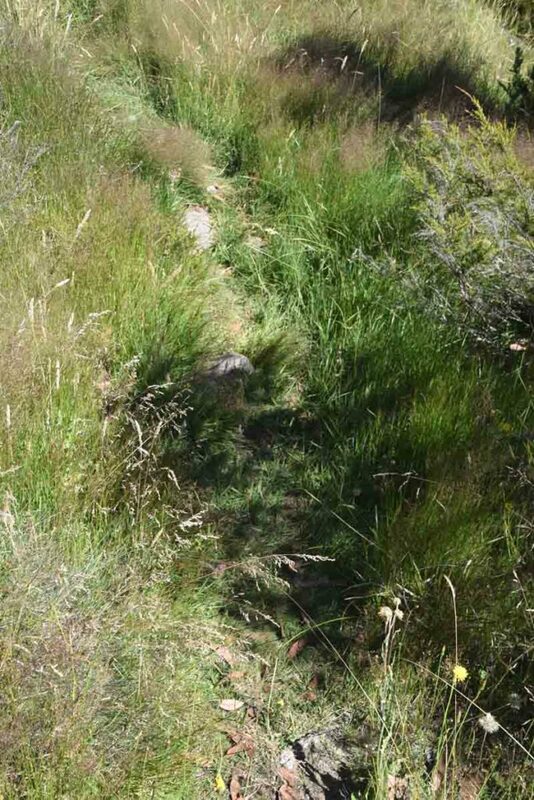 On one of the days I did this walk in early March I came across two Brown Snakes and a Tiger Snake – heard a number of others just off the trail; and boy do they move fast when they want! 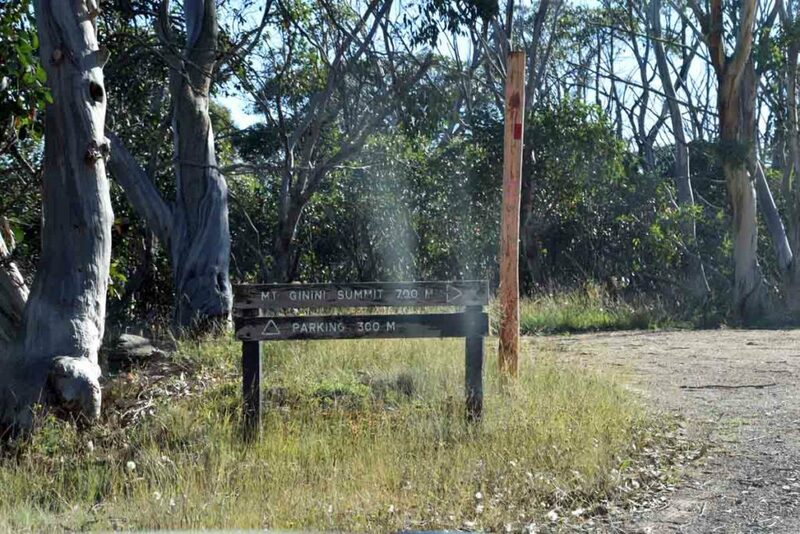 I started this walk just past 9:00am in the morning and the road to the base of Mount Gingera is an ‘OK’ walk but nothing spectacular in itself. In fact the old saying of ‘its the journey not the destination’ doesn’t apply to this walk. This walk is all about the destination! 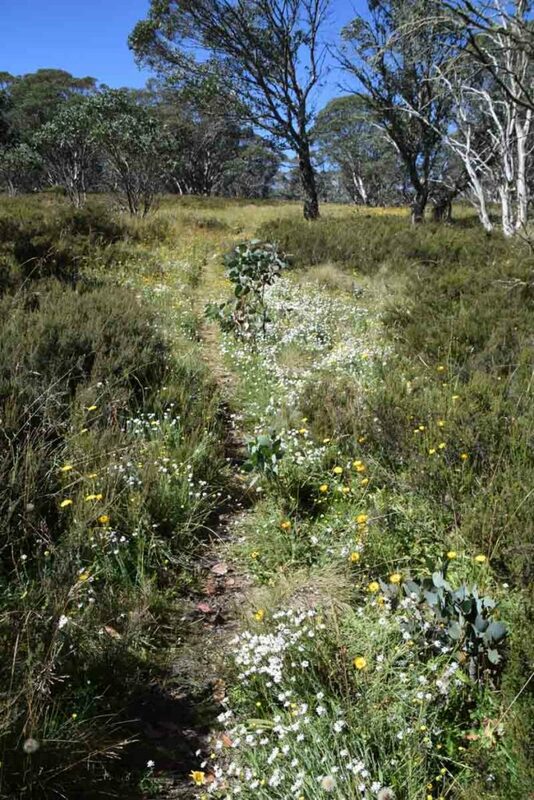 The management road is well maintained, rocky under foot but easy to navigate. You need to pay a bit more attention when there is snow because trail can be a bit obscured. 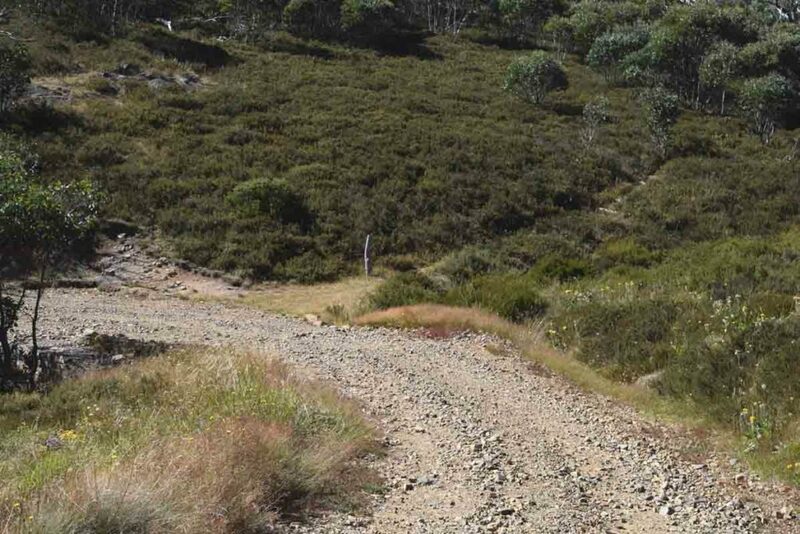 One thing I did find disheartening on this trail was that the first 2 km involved walking down hill, in fact it involved a 200 metre descent. All I could think of at this stage was I had to make up this altitude loss. 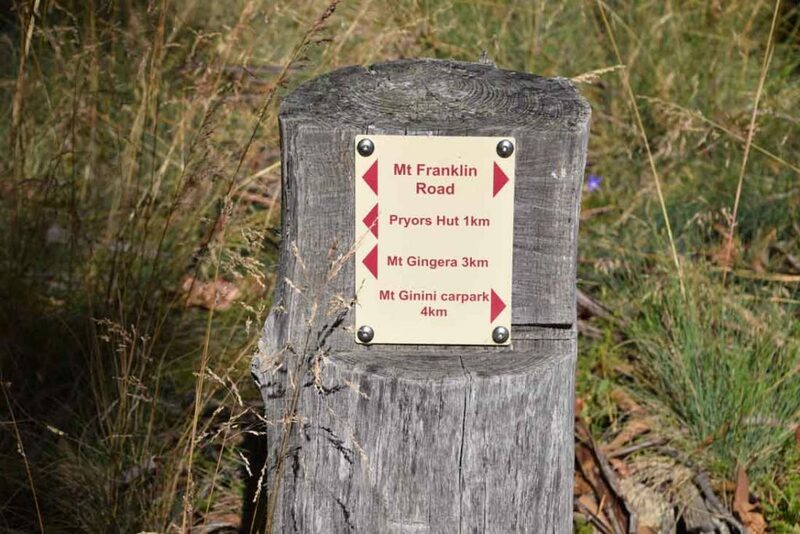 Follow the road and keep an eye out for the minimal signage and you will eventually arrive at Pryor’s Hut which is 5 km into the walk. 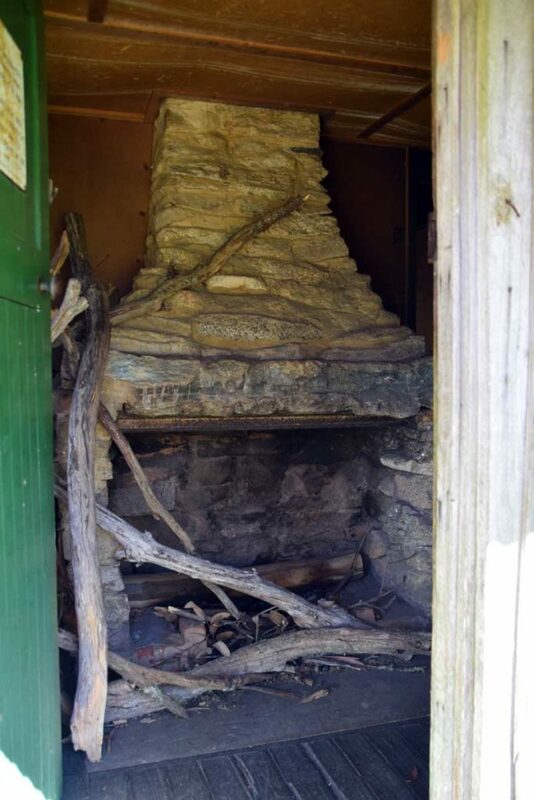 This is an old working hut which can be used in an emergency to get out of the weather and the interpretive material in the hut is well worth a look. 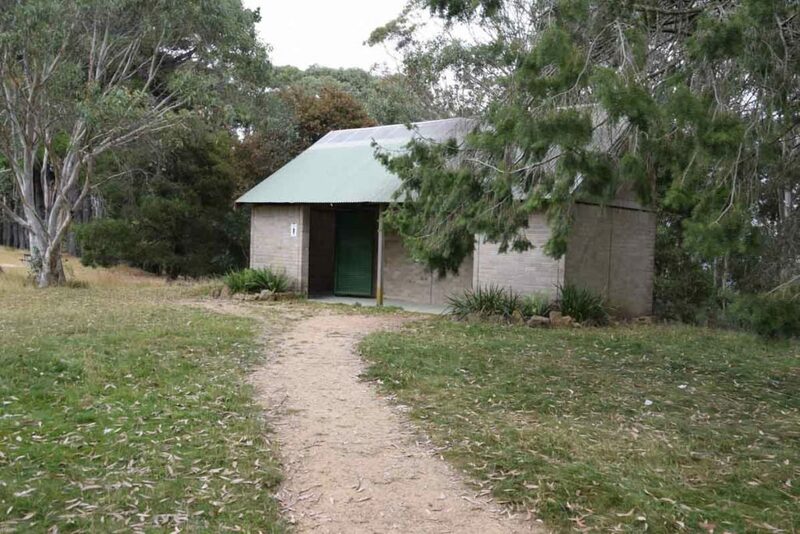 There is also a toilet just off to one side which is quite handy. 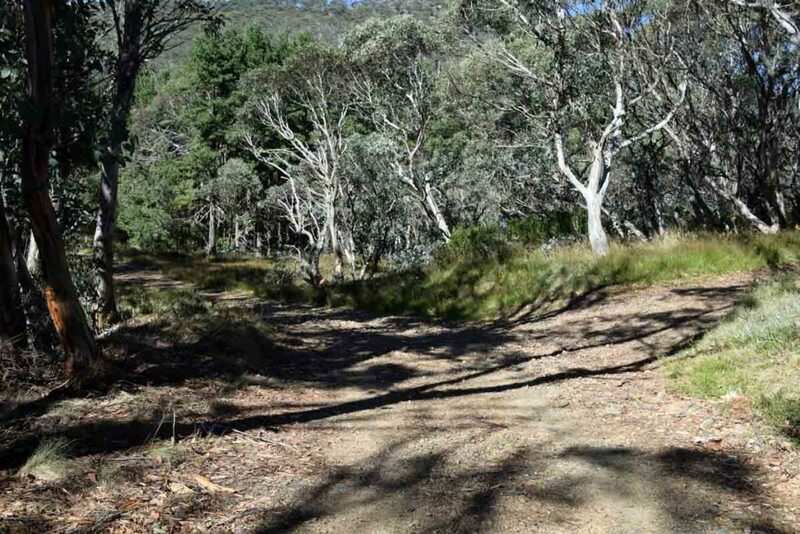 From Pryor’s Hut keep on walking up the management road and you will come to a tight hairpin bend and this is where you start your ascent of Mount Gingera itself. There is some very minimal signage here (see images below) so pay attention. The first time I did this walk it was in mid winter with about 40 cm of snow on the road so the trail was more difficult to spot particularly. 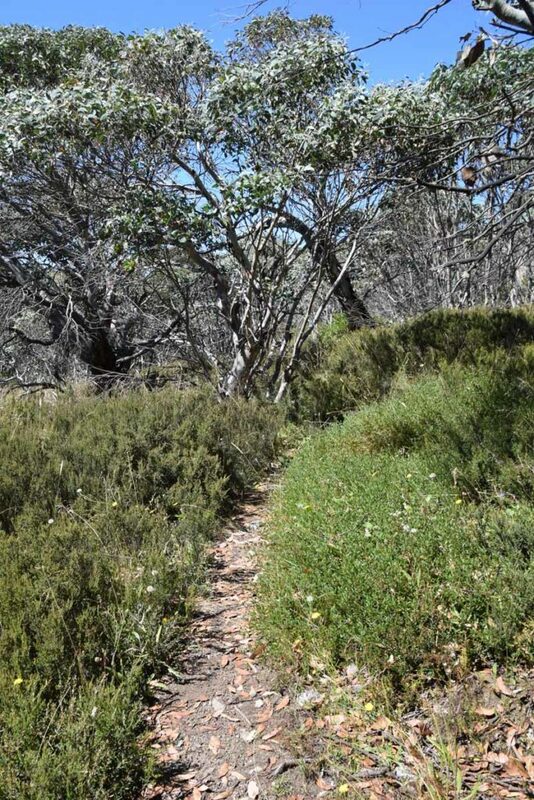 The trail up to the summit of Mount Gingera is heavily overgrown and very narrow and not long after the start of the walk I went through an old gate and was thinking about snakes and sure enough, I came across an extremely colourful Tiger Snake looking for food in a damp area in the middle of the trail. 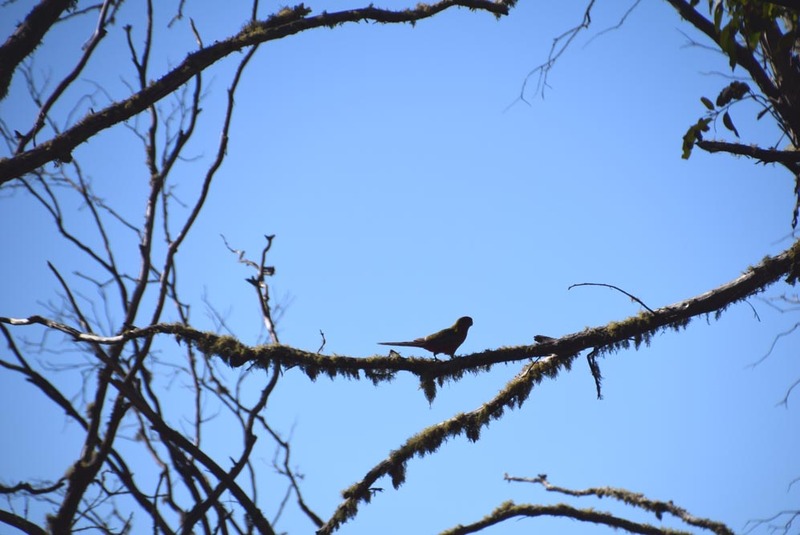 It had stopped foraging and was facing me as I approached and even though I had my camera in my hand it shot off so quickly I didn’t even have time to take a photo. I was paying attention at this point but it made me hyper aware for the rest of the relatively short distance to the summit making sure every time I put my foot down there was nothing there. 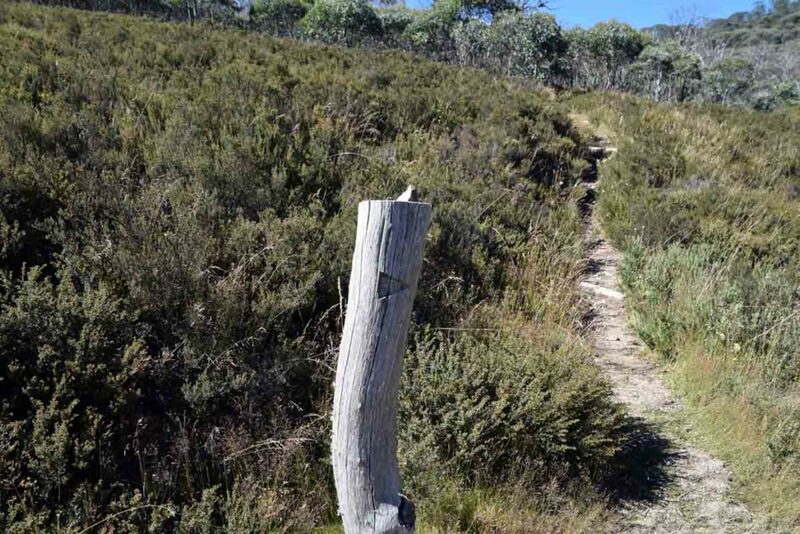 As result the walk up to the summit took me a long time as I wasn’t wearing gaiters and didn’t have trekking poles, both of which I would strongly recommend to anyone doing this walk in the warmer months. 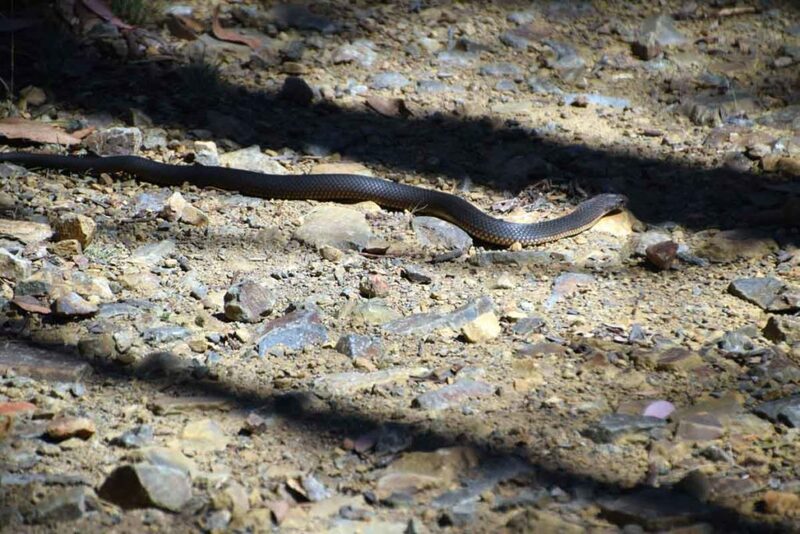 While I didn’t see more snakes on the way to the summit I did hear a number just off the trail. 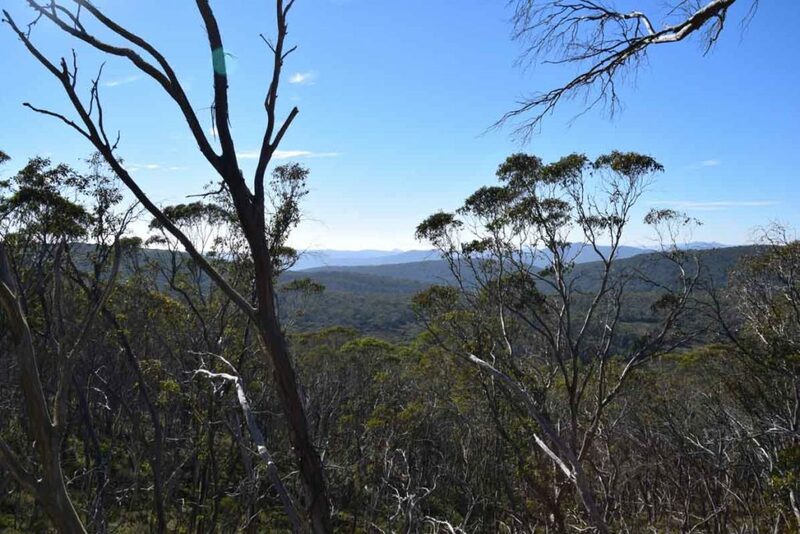 Once you reach the summit there are some large rock outcrops and you can pick your vantage point. 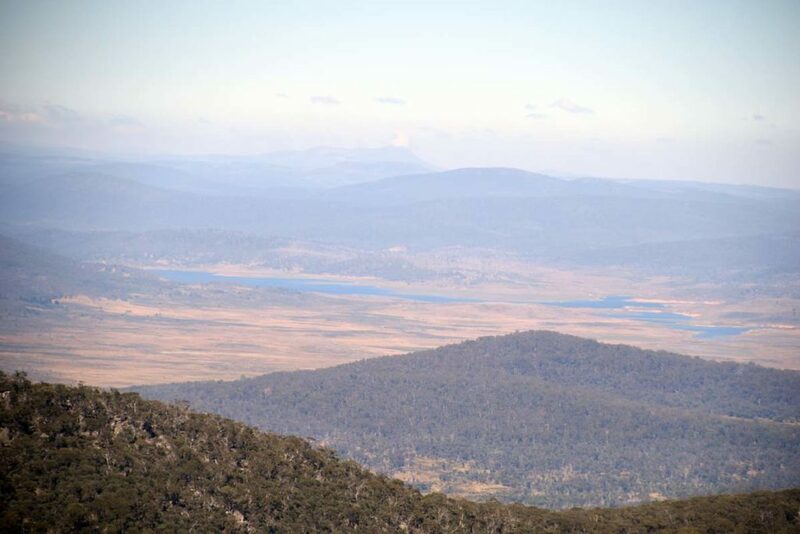 I would suggest picking the highest point which requires a relatively easy rock scramble as this gives views both into NSW as well as the ACT. 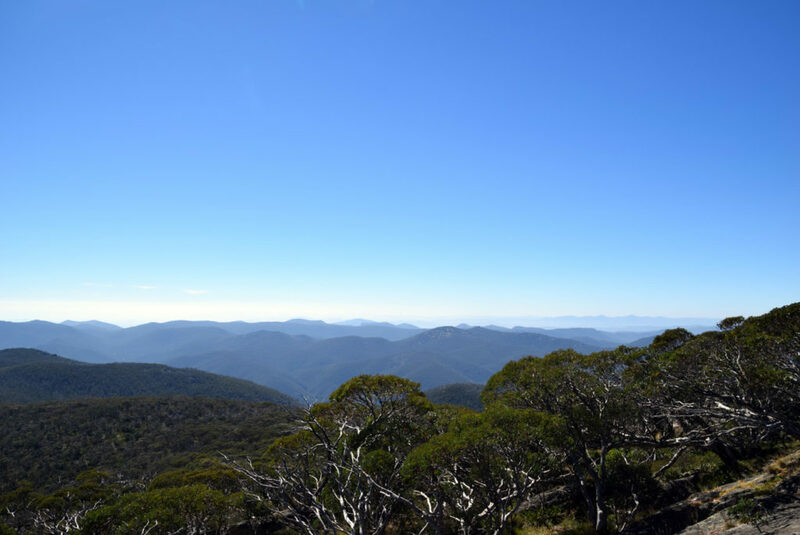 On my first summit to Mount Gingera, I decided this is my new favourite ACT walk because I was alone, the weather (apart from the wind) was mild and sunny, and the sky was reasonably cloudless providing panoramic views. 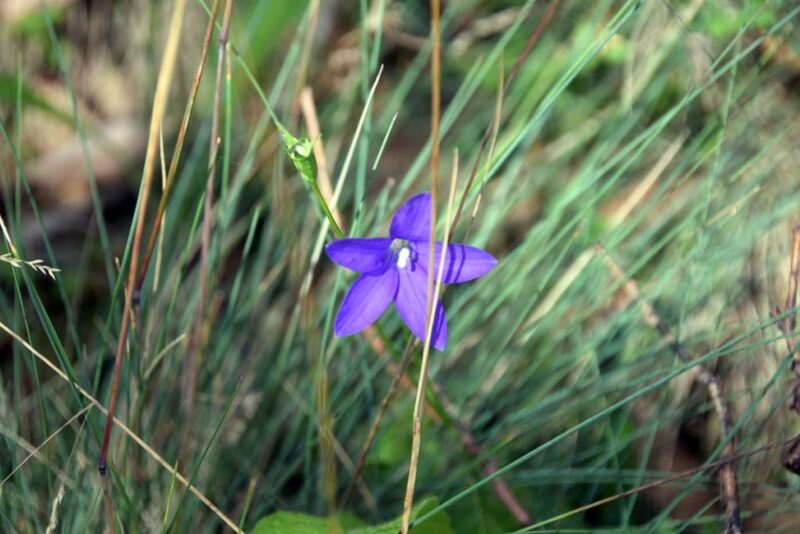 In addition there is sense of wilderness so engrossing that it’s hard to describe. 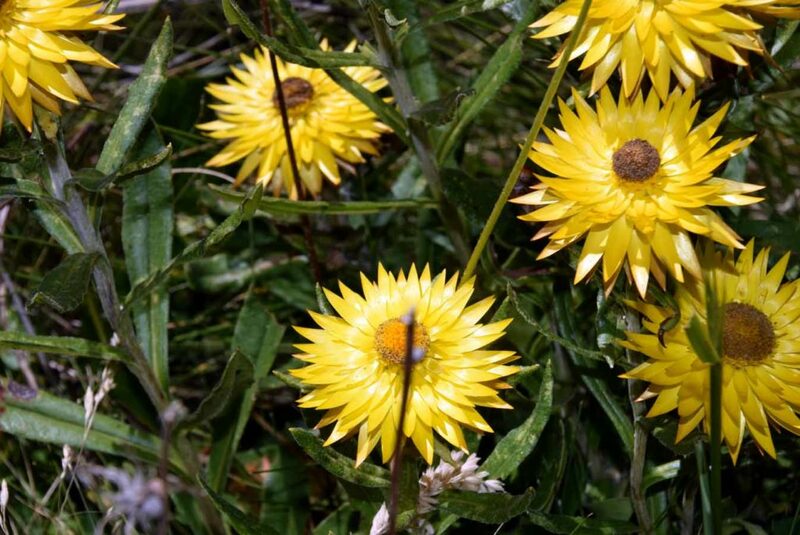 I have done a lot of walks into the Bimberi Wilderness but this just had everything going for it and can only be described as ‘special’. I may well have had a different opinion if there had been a number of other hikers or the weather hadn’t been so good but I was just lucky on the day. 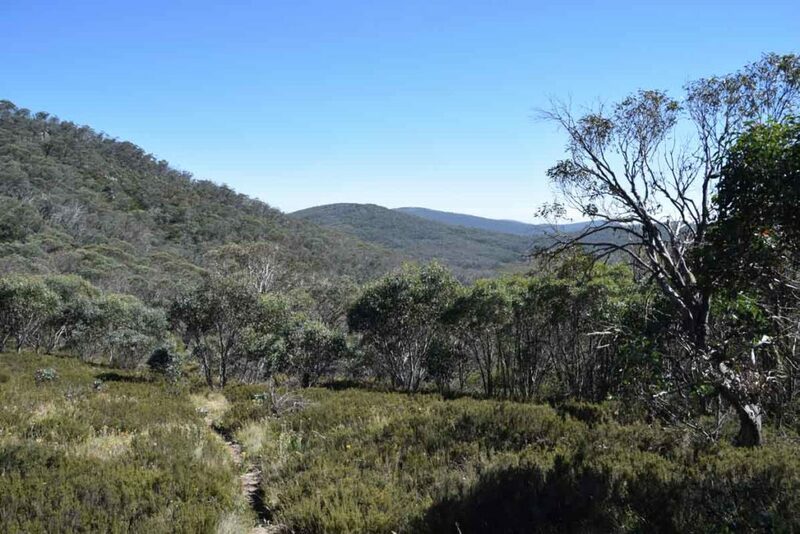 The trip back down Mount Gingera was easy, if slow, as I kept an eye out for snakes and I made it back to the management trail without seeing any more. 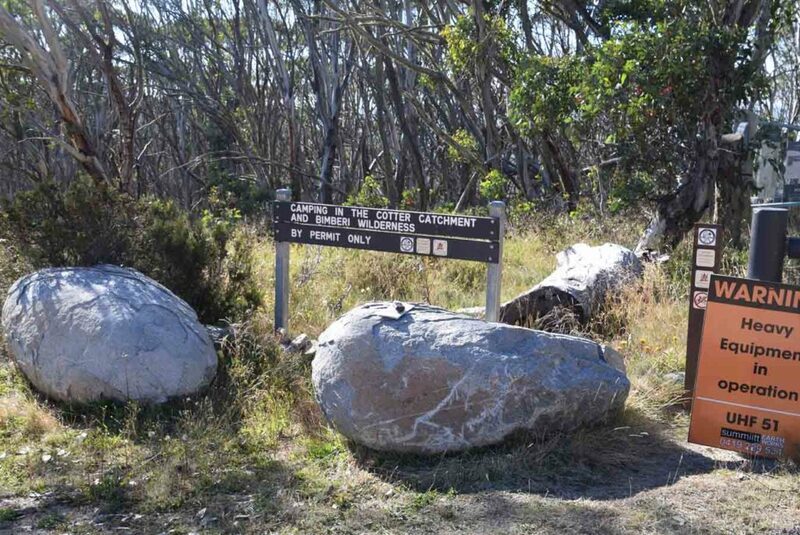 The return journey to the car park is the same route as the way to the summit. 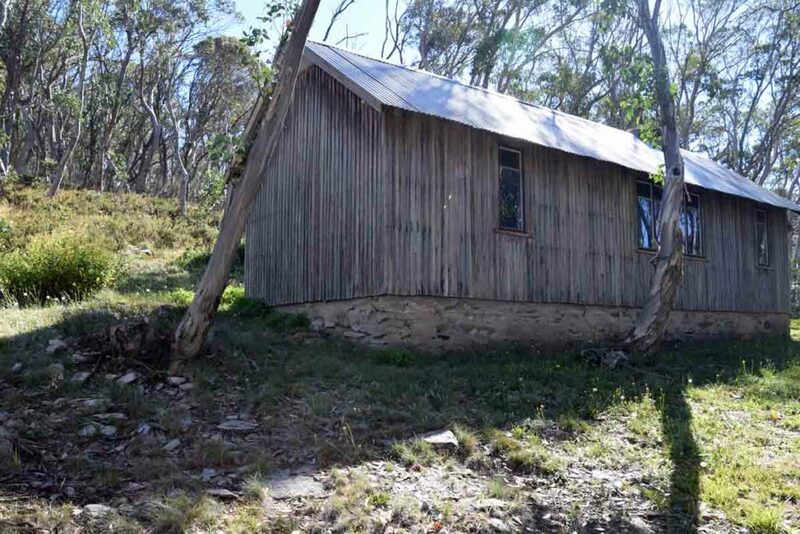 By the time I had gone past Pryor’s Hut I had pretty much gone into autopilot and had gone into my own thoughts. Given I was walking on a wide clean management trail I had put any thoughts of snakes aside and this was a mistake. 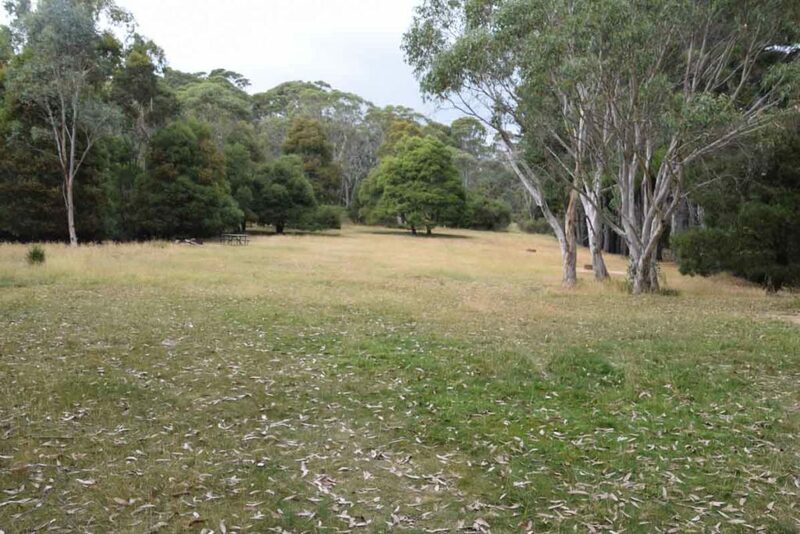 My return journey was around midday and I came cross two Brown Snakes in the space of 1 km. Both were lying in the middle of the road sunning themselves. 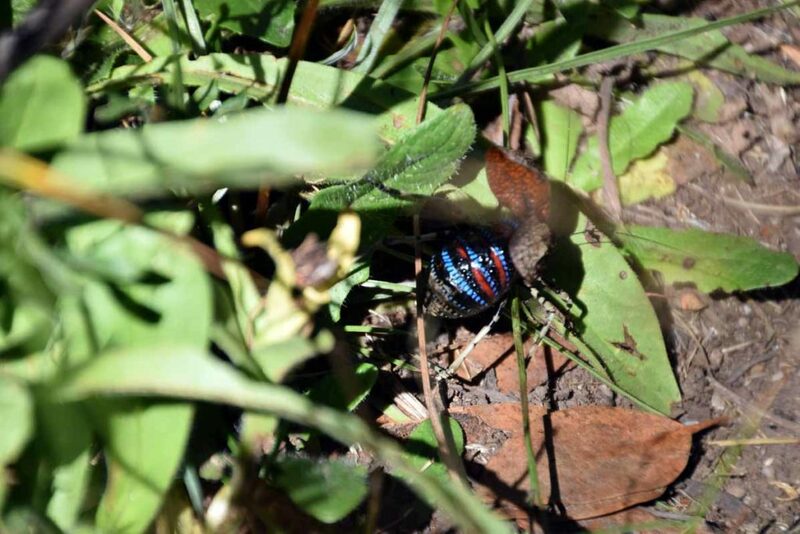 The first was about 1.5 metres in length and I didn’t see it until I was about five metres away. It was already rapidly on the move and had its head raised in a way the the Australian Museum describes as ‘mild threat’ mode (head raised-side on). I did manage to get photos of at least the rear half (see below). 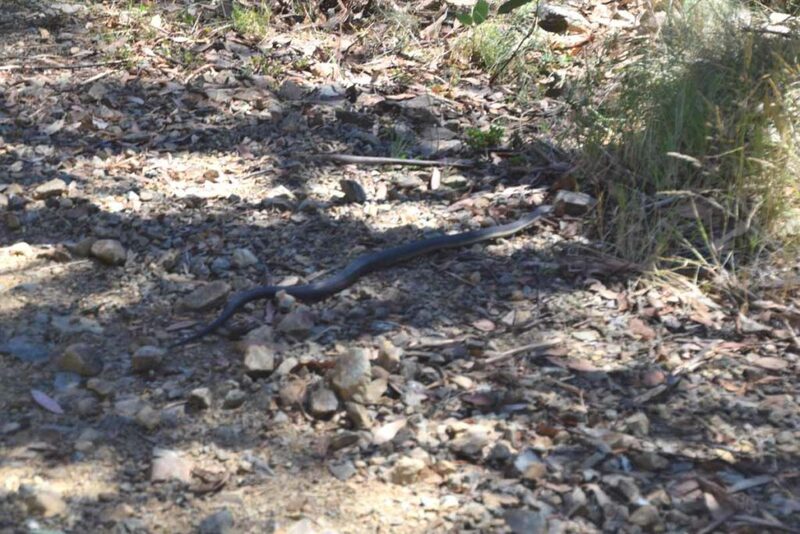 The second snake was smaller (just under one metre in length) and after seeing the first one, I was on the lookout. 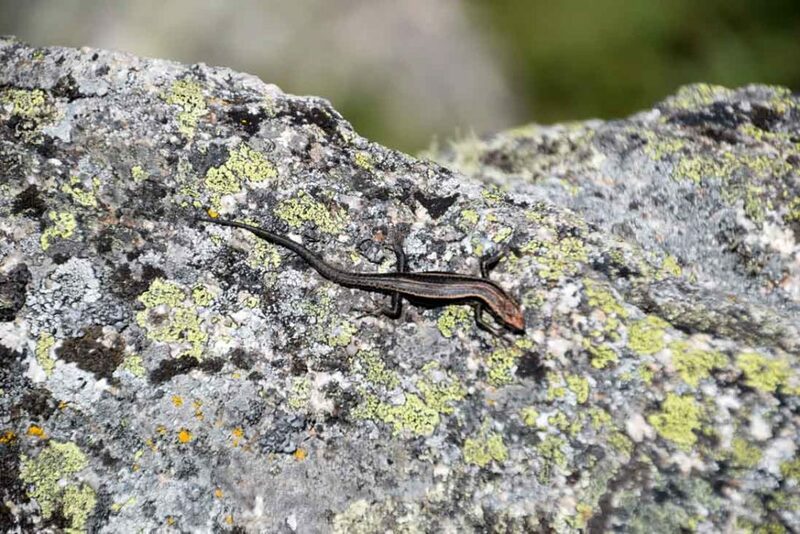 This smaller snake was sunning itself also and as I saw it from about ten metres away I managed to get some good photos, at least from that distance. 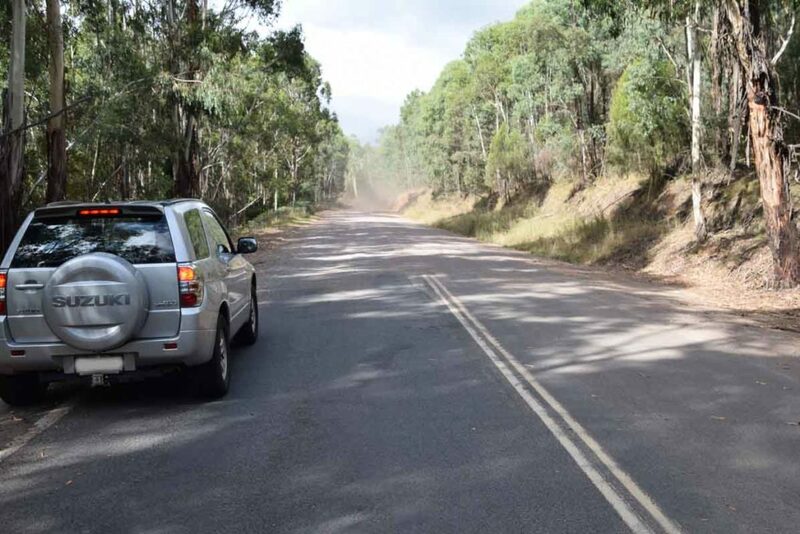 As I moved closer it also shot back into the bush on the side of the road. The rest of the return journey was uneventful. 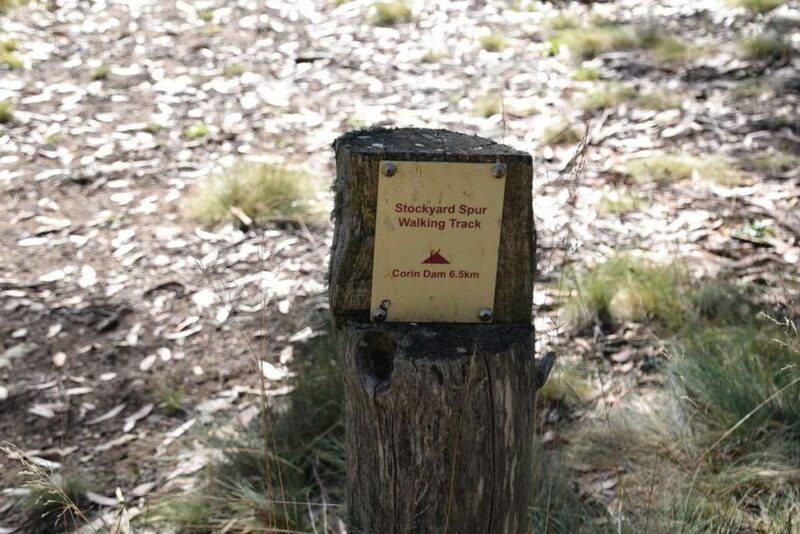 Even at just on 15 km this was not a difficult walk. 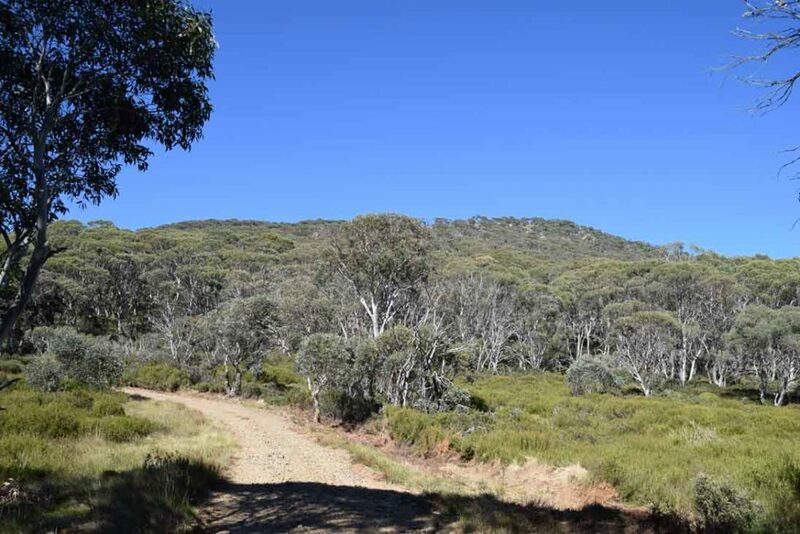 It is possible to do this walk from Corin Dam which is the best choice in mid winter as the trail head is easier to access. 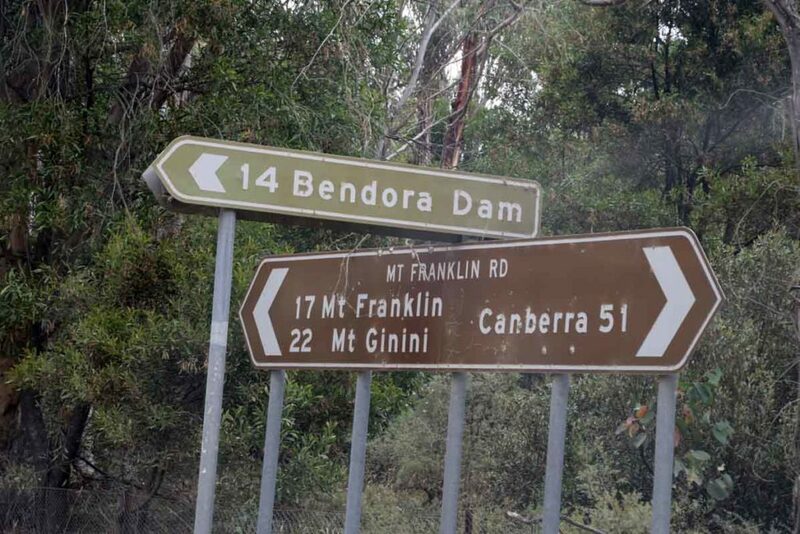 The Corin Dam version of this walk is physically longer and more difficult so if you don’t mind the drive then doing this walk from the Mount Franklin Road is the way to go. Overall a spectacular walk and one I am looking forward to doing at least on an annual basis; all be it with trekking poles and gaiters. 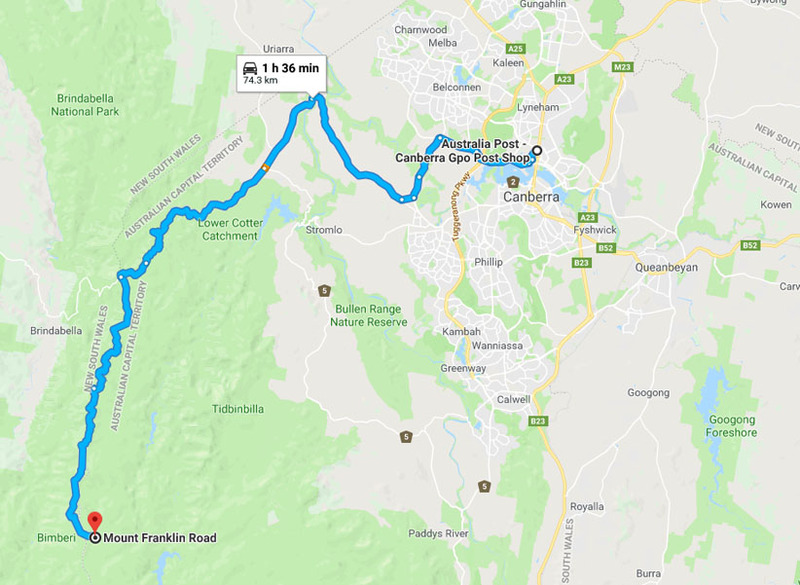 The whole trip from the Canberra GPO to the trail head is just on 75 km. 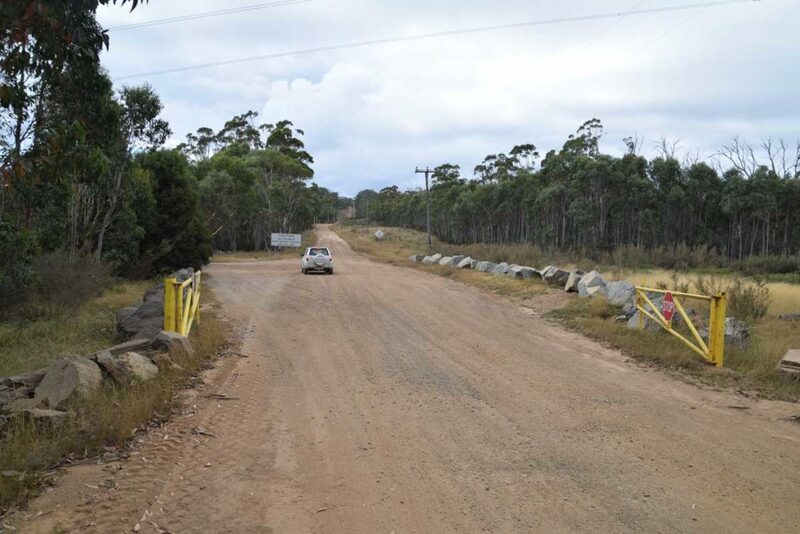 Once you pass the Mount Franklin car park the road deteriorates. 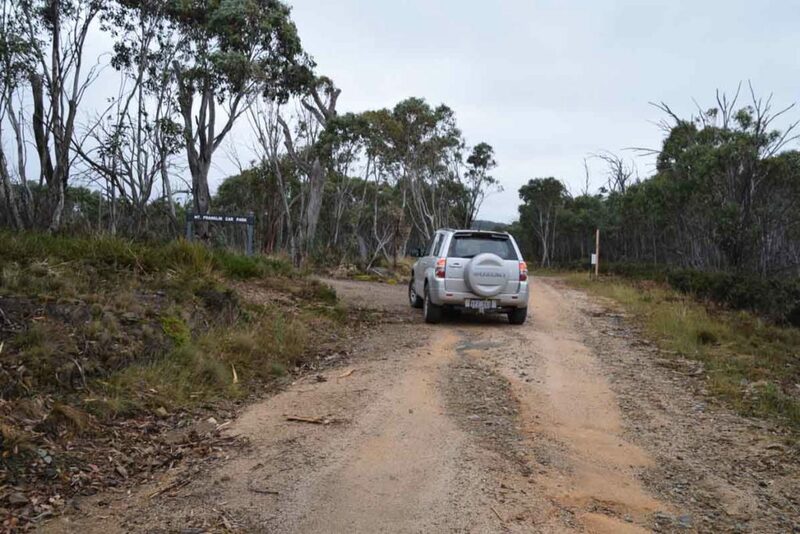 Its not a bad road but I would highly recommend an AWD or 4WD vehicle.